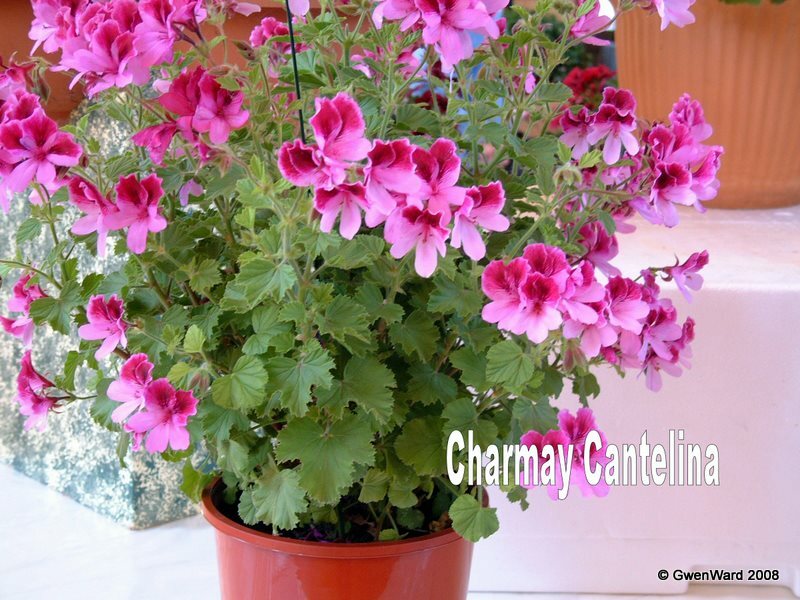 Charmay Cantelina is another smashing Angel Pelargonium from the talented Ken Attfield of Australia. Rose pink petals with a darker rose on the upper petals. 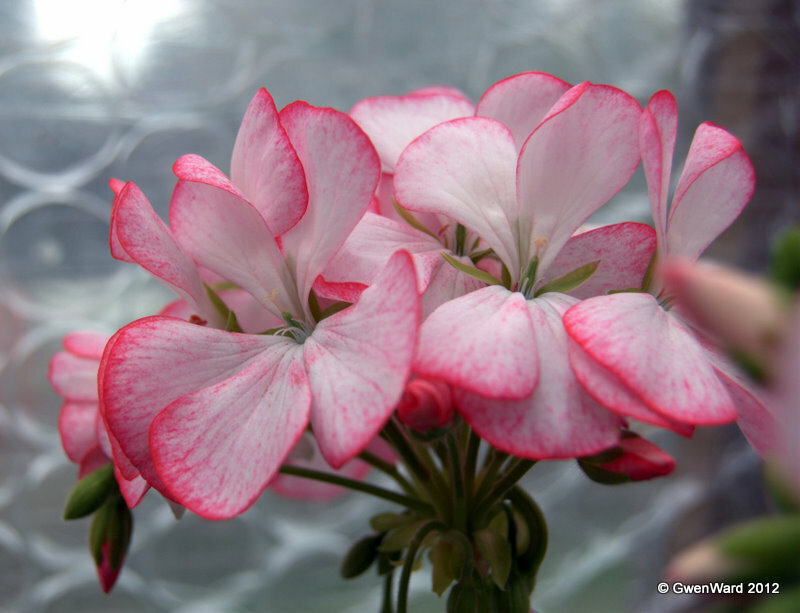 This is a fairly large growing Angel Pelargonium with large flowers which are in proportion to the size of the plant. Short jointed and growing fairly compactly, this Angel Pelargonium needs minimal pinching out to achieve a good shape and size. My photographs were taken at the Annual Pelargonium Show of the South Australian Geranium and Pelargonium Society Inc. when I visited in 2008. 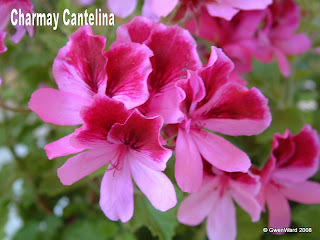 Charmay Cantelina is available in the UK and was introduced in 2005 by Swanland Nurseries. An old variety, 'Carmel' was introduced by Wm. Schmidt in the U.S.A. in 1939. It has the most exquisite single flowers of white edged with a dark pink. 'Carmel' is a sport from 'Alice of Vincennes' which is a single zonal perlargonium with flowers that have a white centre with violet crimson to scarlet edge. I've been re-potting some of my pelargoniums that have been in their pots for over a year. It gives them a boost to have fresh compost. Also potting on the few that I have left after the disaster earlier this year when I knocked a large tray of cuttings onto the floor and threw most of them away as pots, labels and cuttings were all over the greenhouse floor. I don't like to have plants that I have no idea of the name and not prepared to wait for them to flower.